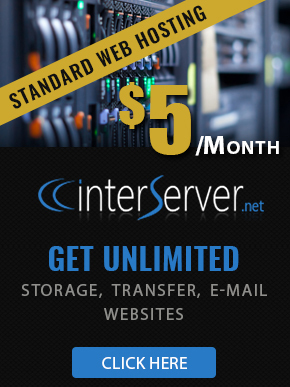 InterServer takes customer security with pride. Hear our story on how we tackled the recent security scare which targeted end-users nation wide. You may have heard of terms like Meltdown and Spectre in recent tech news. Both exhibit a hardware vulnerability exposed by a small team in Austria. Through software, both are able to access private data on a server, but how is this possible? The vulnerability begins at the most inner core of a computer, the Central Processing Unit (CPU). By observing micro processes and transactions, these programs were able to access other parts of the computer that may not be relevant to the actual programs running. For instance, e-mails, files, browsing history, etc. were all subject to vulnerability. While the technical understanding of Meltdown and Spectre is extremely high level, it is important to understand that InterServer took immediate action. InterServer CTO, John Quaglieri kept up to date with all Linux distributions and their kernel updates that would directly target Meltdown and Spectre. Fortunately, John was able to update our Linux machines immediately and efficiently to ensure that all data is secure. From our Shared Hosting to VPS, all kernels have been updated up to par based on their respective Linux distributions. He allowed our customers to keep track with his progress in a frightening situation by logging any updates on our forum page. Here is the forum URL link which tracks any updates regarding Meltdown and Spectre in InterServers infrastructure – click here.